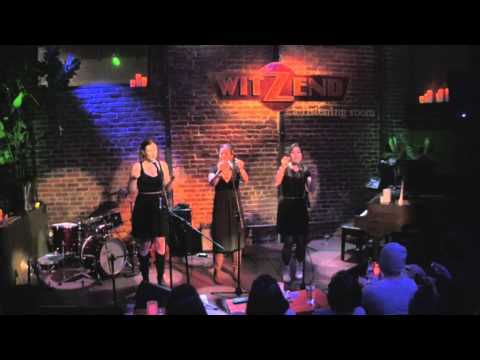 Live at WitZend in Venice, CA on 1/4/14. 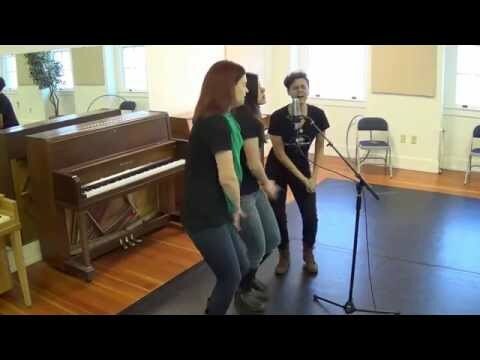 We hadn't seen Courtney, Ann and Christina, 2013 Harmony Sweeps Champs, for a year, until they beautifully hosted the 2014 Finals on May 17th, where we fell in love again! 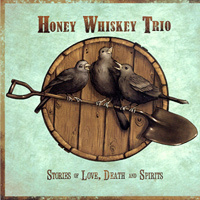 The three women are pictured on the album cover as blackbirds (signifying love), singing while perched on an antique shovel (signifying death) against the circular, nicely rendered background of the top of a keg (signifying spirits). The hand of each member of the trio is clear on each of these 12 finely crafted tunes, several of which drew ovations from our delighted audience at Marin Veterans Auditorium. Courtney arranged the lovely traditional "Duncan and Brady," Felice and Boudleaux Bryant's "All I Have to Do Is Dream," Sticks McGhee's "Wine Blues," Billy Mayhew's "It's a Sin to Tell a Lie" and she wrote favorites "Mockingbird," "Whiskey Wife," "I'll Be Your Coat" and "My Love." Ann wrote and arranged "Nothing But My Whiskey;" and Christine transcribed the traditional "Little Margaret," wrote "Wash Me Clean" and arranged the memorable Shape Note hymn, "Farther On." 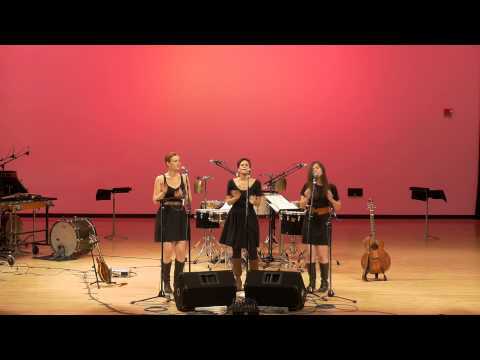 The three voices are well matched, the songs are powerful and emotional, and the trio sings with heart and passion. Between songs on stage Courtney thanked the audience, calling the 2013 Finals win the highlight of their lives. Well, the HWT gave such a moment to the 2013 audience and to all of us who saw them at the 2014 Finals-they have a rare gift. "Stories" is a winner from the first cut to the last!